We are honored to welcome this dynamic group of artists, activists and educators to engage in a conversation around equity in dance, facilitated by Luna’s Director of Creativity & Policy, Nancy Ng. All are welcome to join in this free special event, February 23rd, 2:30-5pm. More information here. Gerald Casel is a San Francisco based dance artist and Artistic Director of GERALDCASELDANCE. His work complicates and provokes questions surrounding colonialism, collective cultural amnesia, whiteness and privilege, and the tensions between the invisible/perceived/obvious structures of power. He is an Associate Professor of Dance and is the Associate Chair of the Department of Theater Arts at University of California, Santa Cruz. Casel received a Bessie award for dancing in the companies of Michael Clark, Stephen Petronio, Zvi Gotheiner, and Stanley Love. A graduate of The Juilliard School, he holds an MFA from UW-Milwaukee. Recent performance projects include collaborations with Na-ye Kim + Peiling Kao, Keith Hennessy, and Netta Yerushalmy. Casel leads a Community Engagement Residency entitled Dancing Around Race, a process that interrogates racial inequity in the San Francisco Bay Area. This summer, he and his students will return to Camping at Centre National de la Danse in Paris. Photo by Robbie Sweeny. 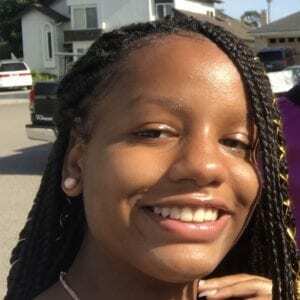 Zaynah Islam is a beautiful 14 year old who attends San Leandro High. She began dancing with Dimensions Dance Theater‘s Rites of Passage program seven years ago because she needed an extra activity to have fun and learn new things. Zaynah also has a family connection with the company, so it wasn’t very hard to find. The Rites of Passage program and Dimensions Extensions Performance Ensemble has enabled her to become a more positive and confident person, and her dance family encourages her to push beyond her comfort zone to spur her growth in dance and in life in general. Through the program she has traveled to central and southern California to study dance in addition to working as a teaching assistant for senior instructors. Tammy Johnson is a dancer, writer, and equity analyst living in Oakland, California. As a highly visible and effective community organizer in Milwaukee, Wisconsin, Tammy directed campaigns on economic justice, electoral reform and public education. 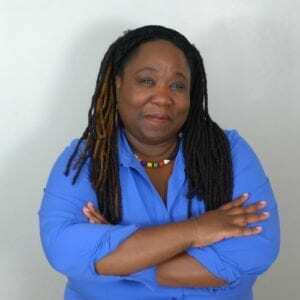 Tammy’s gift for strategy development and ability to nurture strong relationships with groups on the ground led to a decade at Race Forward, spent advancing racial justice at as a national organizer, trainer, writer, policy analyst and public speaker. Johnson is a principle partner of Art/Work Practice, a firm that advances cultural strategies with a through an equity-based approach. Specializing in Egyptian style bellydancing, Johnson was the 2016 recipient of Deborah Slater’s Studio 210 Residency Program. She is currently the director of Project Aiwa which produces performances, workshops and community-based collaborations. 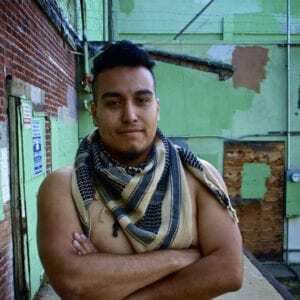 Cuauhtémoc Peranda, (Mexica/Aztec & Mescalero Apache), M.F.A., is a Ph.D. student in the Critical Dance Studies program at the University of California, Riverside. He is a Benjamin E. Mays Mellon Fellow and a recipient of the prestigious Dean’s Distinguished Fellowship. He has had the honor of presenting his award winning research on Vogue/Voguing at the Queer People of Color Regional Conference at the University of California, Davis, and the Queer Yo’ Mind Conference at San Francisco State University. In 2009, he studied under Dr. Ramón Rivera-Servera, Ph.D. at Northwestern University, through the competitive Research Opportunities Program Fellowship, and he graduated in 2010, with Honors, from Stanford University with a B.A. Degree in Comparative Studies in Race and Ethnicity. While training at Mills College for his M.F.A. in Choreography and Performance, he established his art & dance company: Mitote Choreographics. Peranda’s artistic and academic interests examine Contemporary Dance’s decolonial possibilities by ways of the imbedded Native American dance protocols; additionally, he explores Queer & Quare Fierceness in Voguing as a tool for gender and identity resistance, and a vehicle for healing and preventing suicide. His dance work has been presented throughout the San Francisco Bay Area, New York, Seattle, Cambridge, London, Germany, and he has traveled through the United States, Canada and Mexico as a performer. His writings on decolonial dance practices will be published in the forthcoming Queer Chicana/o Xicana/o Spiritualities Anthology. Judith Smith, Founder and former Artistic Director of AXIS Dance Company, has earned an international reputation in the field of physically integrated dance. She has commissioned works by some of the nation’s best choreographers and composers and has developed one of the field’s most extensive integrated dance education/outreach programs. Judith has performed, taught and lectured nationally. She was honored with an Isadora Duncan Dance Award for Sustained Achievement in 2014, the O2 Initiatives Sabbatical Award in 2015 and in 2016 she was honored as one of Theatre Bay Area’s 40 people that have changed the face of Bay Area theatre. Dr. Albirda Rose received her Doctorate in Education from the University of San Francisco; MA from Mills College in Dance; BS in Physical Education (Dance Emphasis), Minor in Drama from Hayward State; and Masters in Divinity from the Graduate Theological Union at Berkeley, American Baptist Seminary of the West. Her roles are many yet all related: Educator, Choreographer, Performer, Writer, Mother, Minister, and Mentor to many in the Bay Area both in the Arts and in Ministry. Dr. Rose’s passion for working with children has given her the platform to continue teaching dance at the same time performing her ministry, as well as helping young people develop into productive contributors to society. Her other passion is preaching the Gospel particularly to those who are in Care Facilities with limited mobility. She is a Faculty Emeritus of the School of Music and Dance, at San Francisco State University, where she taught for 38 years. As a professor, Dr. Rose has developed and implemented curriculum in dance specifically in the area of K-12 dance education. She also worked with the state of California in the development of the Physical Education standards for credentialing Dance Teachers. She worked closely with Miss Katherine Dunham for 25 years on the standards and criteria for becoming a certified Dunham Instructor. 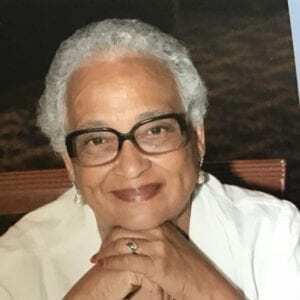 She is the founding director of The Institute of Dunham Technique Certification, granted the title in 2000 by Miss Katherine Dunham, as well as the title of Certified Master Instructor. 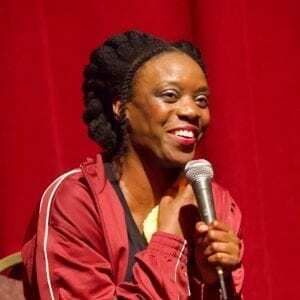 Latanya d. Tigner has performed professionally with Dimensions Dance Theater since 1986, and has studied and toured nationally and internationally, performing multidisciplinary works rooted African diasporic dance forms. Latanya holds a B.A. in Physical Education/Dance, a Master’s Degree in Arts Administration, directs Dimensions’ youth company, and teaches dance at UC Berkeley and Contra Costa College. Latanya has created commissioned works for Dimensions Dance Theater, Black Choreographers Festival, Robert Moses’ Kin, Mills College, and has presented work in SF Ethnic Dance Festival, Cuba Caribe, and Mabina Dance Festival (Congo-Brazzaville). She has also set choreography for Cal Shakes’ production of black odyssey, SF Shakespeare’s production of A Winter’s Tale, Ubuntu Theater’s production of Dance of the Holy Ghost, Delina Brooks’ An Open Love Letter to Black Fathers, Contra Costa College’s productions of In the Blood, For Colored Girls, and Godspell, and Li Smith’s production of Purlie Victorious. Latanya also holds the position of Co-Artistic Director of World Arts West’s esteemed San Francisco Ethnic Dance Festival along with Mahealani Uchiyama and Patrick Makuakane for the 2018-2020 seasons. Recently, Latanya was named Resident Artist at Mills College’s Lisser Hall. Photo by Edward Miller Photography.